Communication is an incredibly important aspect of every part of our lives. There are lots of reasons that a customer may wish to contact a company from requesting product details to seeking employment. Equally, there are lots of ways a customer can get in touch and each customer has their preferred method; this means that you should be providing as many choices as possible in order to maximise commu­nica­tion. With a website created and managed by Brick Web Development Company, customers can contact you via email as we provide you with all the addresses you need, plus lots of storage. We also help to integrate you with social media such as Facebook and Twitter so that customers can interact there with you, often in a much less formal way. Often, customers want to get in touch with you directly and speak live though the telephone isn’t always the best option for them. These customers want Live Chat and, with a website from Brick, you can provide it to them. The telephone is the traditional way for customers to chat directly but many people will decide to simply not bother as they want a seamless experience online. If they have the option to chat there and then, on the very same screen, they are far more likely to make the connection and prevent you from losing business. Live chat functions have become standard on many major websites and that means that customers are expecting them as standard too. Can you afford not to be present for your customers? 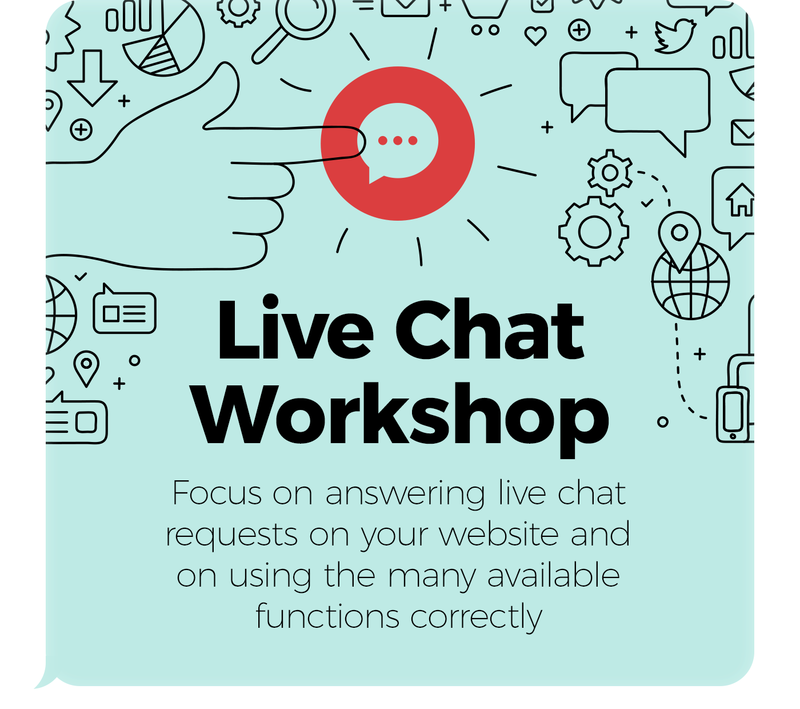 Answering live chat requests and using the many available functions correctly is the focus of our upcoming workshop here at Brick. As always, we will be welcoming clients here at our office where you will receive training and advice from our experts all about how to get ready for Live Chat on your website. Date of the workshop: 21/04/2017. To confirm your place call us on 01254 277190 or email Dani or Maria.